At the skills fair invited participants of all ages to create beautiful press-moulded clay bees later incorporated into a guilded ceramic swarm. This project was commissioned by Falmouth Exeter Plus and includes bees made by Penryn residents as well as staff and students from both Falmouth and Exeter University. The ceramic swarm sculpture is now installed in a willow tree at the top of Elm Drive on the Penryn campus. 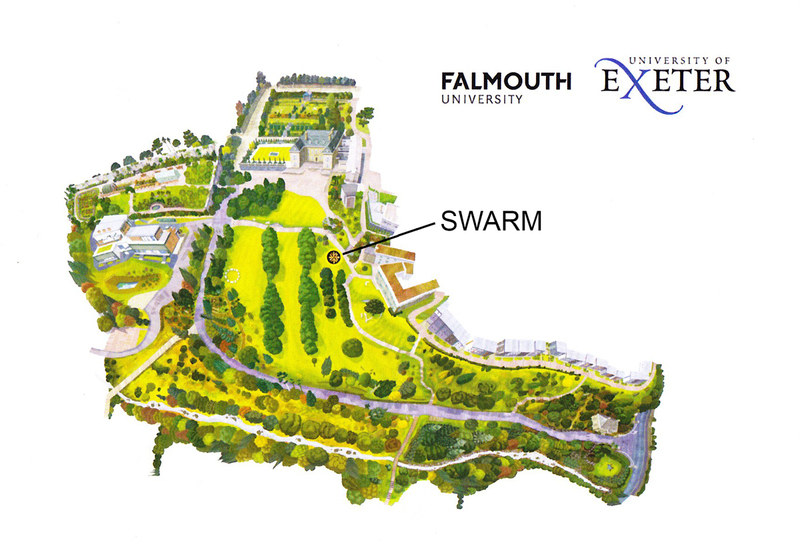 Swarm celebrates Penryn’s longstanding connection with educational institutions.